This page is for examples of initial and monthly Soldier counseling and initial and quarterly NCO counseling. The primary reference is FM 6-22, Leadership, Appendix B, Counseling. Soldiers (E-4 and below) should receive counseling monthly. Counseling for Soldiers is normally recorded on DA Form 4856 but other formats are allowed for the initial counseling. NCOs (E-5 and above) should receive counseling quarterly unless their conduct requires it more frequently. NCO counseling is normally documented on DA Form 2166-8-1 but other formats are allowed for the initial counseling. Counseling is the process used by leaders to review, with a subordinate, the subordinate's demonstrated performance and potential. It is one of the most important leadership development responsibilities of Army leaders. The Army's future and the legacy of today's Army leaders rests on the shoulders of those they help prepare for greater responsibility. Event-oriented counseling involves a specific event or situation. It may precede events such as appearing before a promotion board or attending training. It can also follow events such as noteworthy duty performance, a problem with performance or mission accomplishment, or a personal issue. Click this link for examples of event-oriented counseling. During performance counseling, leaders conduct a review of a subordinate's duty performance. The leader and subordinate jointly establish performance objectives and standards for the next period. Rather than dwelling on the past, focus on the future: the subordinate's strengths, areas of improvement, and potential. Performance counseling is required under the officer, NCO, and Army civilian evaluation reporting systems. The officer evaluation report (OER) (DA Form 67-9) process requires periodic performance counseling as part of the OER Support Form requirements. 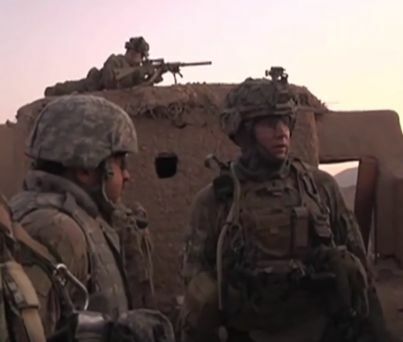 Mandatory, face-to-face performance counseling between the rater and the rated NCO is required under the noncommissioned officer evaluation reporting system. (See AR 623-3). Performance evaluation for civilian employees also includes both of these requirements. Counseling at the beginning of and during the evaluation period ensures the subordinate's personal involvement in the evaluation process. Performance counseling communicates standards and is an opportunity for leaders to establish and clarify the expected values, attributes, and competencies. Army leaders ensure that performance objectives and standards are focused and tied to the organization's objectives and the individual's professional development. They should also echo the objectives on the leader's support form as a team member's performance contributes to mission accomplishment. The links at the top of this page provide access to numerous examples of Soldier and NCO performance counseling. Professional growth counseling includes planning for the accomplishment of individual and professional goals. During the counseling, leader and subordinate conduct a review to identify and discuss the subordinate's strengths and weaknesses and to create an individual development plan that builds upon those strengths and compensates for (or eliminates) weaknesses. Click this link for examples of professional growth counseling.